Used alone or with a flower accent as shown (flower sold separately), this headband will help to create a sophisticated hairstyle for your special day! Available with a single or a double band, the simple band will pull back long hair or hold a short style in place. 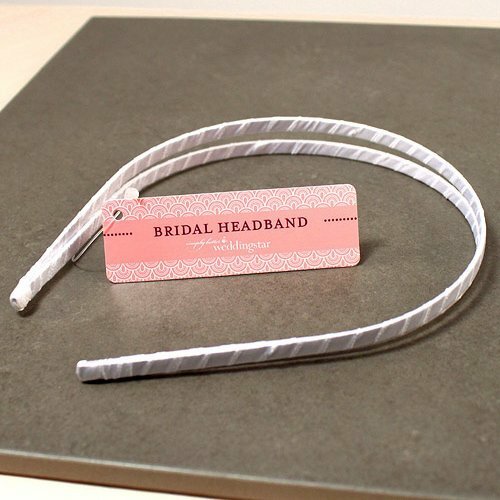 Comfortable for all day wear, the headband can also be added to your bridal bag in case you need in later in the evening. Simple and elegant, our white satin-wrapped band will match any bride's attire.